Also serving communities of Hawthorne. There are 36 Assisted Living Facilities in the Superior area, with 3 in Superior and 33 nearby. The average cost of assisted living in Superior is $3,800 per month. This is higher than the national median of $3,346. To help you with your search, browse the 28 reviews below for assisted living facilities in Superior. On average, consumers rate assisted living in Superior 4.0 out of 5 stars. Better rated regions include Two Harbors with an average rating of 5.0 out of 5 stars. Caring.com has helped thousands of families find high-quality senior care. To speak with one of our Family Advisors about assisted living options and costs in Superior, call (855) 863-8283. Superior sits at the western end of Lake Superior and along with Duluth, Minnesota, forms the Twin Ports. There are three assisted living facilities available in Superior, and seniors can also look at 35 options on the Minnesota side of the lake, in Duluth, Hermantown and Esko. 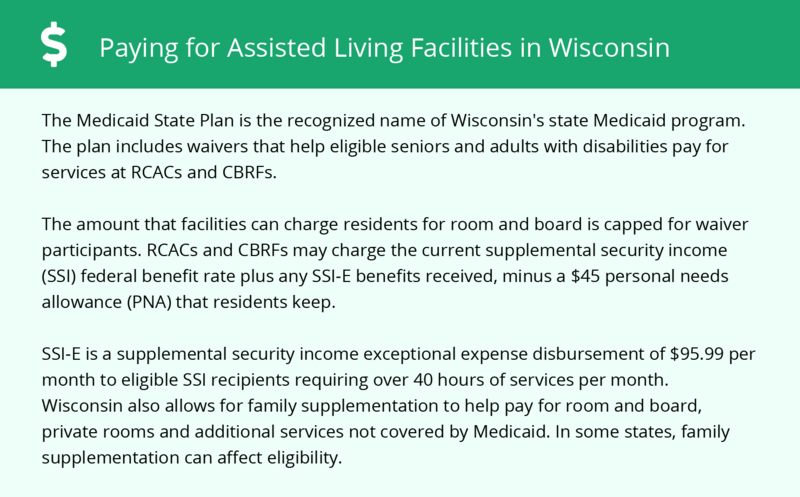 Wisconsin has a Bureau of Assisted Living, which regulates assisted living facilities on the Superior side of the Twin Ports. Licenses are provided to four types of assisted living residences and programs aimed at people who don't need round-the-clock nursing services. Superior has an array of community resources for seniors, including Senior Connections, an organization that provides services for seniors, including medical equipment loans and technology classes and three senior centers. Public transit in Superior is provided by the Duluth Transit Authority. Some seniors may be eligible for Special Transit RIDE (STRIDE), a door-to-door service for people with disabilities. Senior Connections also has a transport program for people aged 55 and over. Retirees who rely on a government pension or Social Security income will benefit from Wisconsin's tax policy, which does not tax these income types. However, income from retirement accounts and private pensions are subject to income tax, which will eat into the budget of seniors relying on these income sources. The cost of living in Superior is around 16 percent lower than the national average. The biggest factor in this is the low cost of housing, but seniors will still find that their bills for groceries, transport and healthcare are lower than in other parts of Wisconsin. Superior has a higher crime rate than 97 percent of Wisconsin cities, a statistic which may make some seniors feel unsafe. Although the violent crime rate is slightly lower than the state average, the property crime rate is almost two-and-a-half times higher. Seniors who have health conditions made worse by extreme cold will struggle with Superior winters. In January, the average low temperature is only four degrees, and the city averages 64 inches of snow. Summers do stay mild, with July highs averaging 76 degrees, perfect for those who don't like extreme heat. Assisted Living costs in Superior start around $3,800 per month on average, while the nationwide average cost of assisted living is $4,000 per month, according to the latest figures from Genworth’s Cost of Care Survey. It’s important to note that assisted living rates in Superior and the surrounding suburbs can vary widely based on factors such as location, the level of care needed, apartment size and the types of amenities offered at each community. 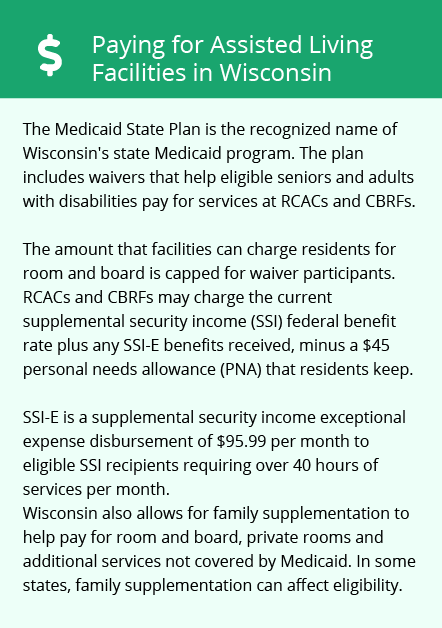 Wisconsin's Department of Health Services oversees the Family Care program, a Medicaid Waiver program for adults requiring long-term care. Seniors who live in assisted living facilities may be eligible for financial assistance through this program. Superior and the surrounding area are home to numerous government agencies and non-profit organizations offering help for seniors searching for or currently residing in an assisted living community. These organizations can also provide assistance in a number of other eldercare services such as geriatric care management, elder law advice, estate planning, finding home care and health and wellness programs. To see a list of free assisted living resources in Superior, please visit our Assisted Living in Wisconsin page. Superior-area assisted living communities must adhere to the comprehensive set of state laws and regulations that all assisted living communities in Wisconsin are required to follow. Visit our Assisted Living in Wisconsin page for more information about these laws.